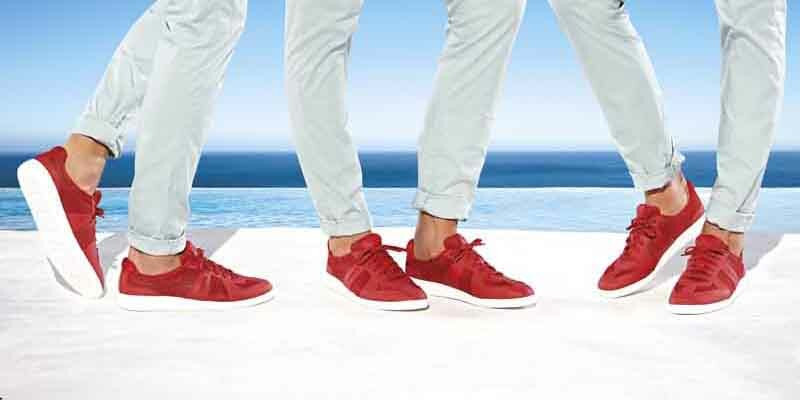 DALLAS, Jun 21, 2014/ — Johan Ringdal, designer behind the Norwegian lifestyle brand SWIMS re-imagined the iconic SWIMS loafer and came up with the Luca sneaker, a sports-centric evolution. With a shock-absorbing sole and breathable mesh, the Luca sneakers’ supportive insoles provides the ultimate support and style while also wicking away moisture. An eco-friendly and durable TPU injection ensures the stability and structure of the shoe, a construction that SWIMS has long since mastered with the launch of their innovative loafer. In combination with a lightweight mesh and an antibacterial, perforated EVA insole, the Luca provides maximum breathability and is meant to be worn barefoot, making it even easier to take SWIMS on the sailboat, for a jog on the beach, lunch at the shore, or from a day in the sand to dinner in the city. With an anti-slip outsole and more built-in features than ever before, the Luca sneaker is designed for anyone who appreciates the fusion of comfortable functionality and cutting-edge style.